Mint offers a variety of fuel-efficient vehicles, like the Honda Fit. Yes, it sounds too good to be true. Rental cars for just $2 per hour. A new car rental company called Mint says its goal is to provide an affordable and reliable alternative to car ownership and a system to complement mass-transit led. So, for a $25 dollar membership fee, you can rent an economy (small) car for $2 hour, Monday through Friday from 8 a.m. to 5 p.m. No strings attached. Really. However, the promotional deal will end in June. Mint calls its rentals “on demand car service,” allowing customers to avoid 24 hour contracts that are standard with other car rental companies. $2 Rental Cars -- It's for Real! A new car rental company, Mint, has a very special offer. It's charging just two dollars per hour to rent a car Monday through Thursday. 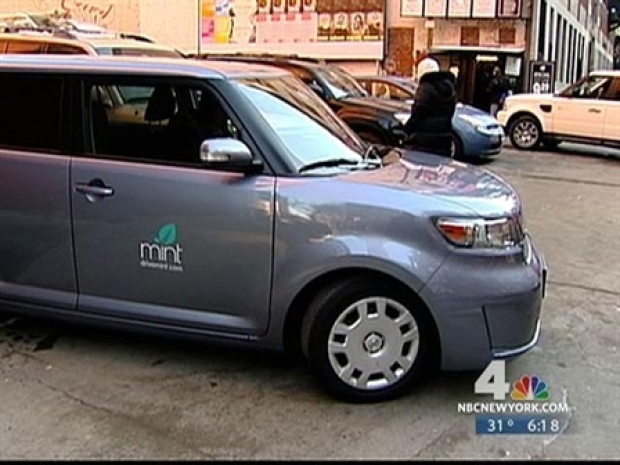 As an added bonus, Mint is also offering a discount at certain parking garages if you’re driving a Mint vehicle.